If you’re looking for a healthy information diet through newsletters, your search may have just ended! Stoop has now launched an iOS and Android app that lets you browse through newsletters based on different categories, directing you to the main subscription page once you select the one you like! Know more about the use of windows to run and test IOS apps! Entering your Stoop email address will let you read through your chosen favorite newsletters too! According to the CEO of Stoop, newsletters are key ways publishers can interact with their audience, and although Podcasts may be doing the same, however, newsletters remain a critical medium because not only does it give out more information to the consumer directly but IT COSTS LESS! With the revised Facebook marketing strategies persuading publishers to develop their own audience rather than renting others’ the tilt towards journalism brings more value to customers and isn’t just a way to attract clicks! Content distribution today is through third party software, which highlights material that isn’t based on quality, it’s based on what would keep people scrolling! Not very reliable, is it? It’s possible that the CEO of Stoop is a fan of newsletters, but he may have a point! With so many newsletters flowing around, there’s no library where one can find new ones to read, subscribing to a new one may crowd your inbox. Stoop does two things. It makes it easier to subscribe and also allows readers to read as many newsletters as they want! The app lists around 650 newsletters at the moment and the list is continuously growing. The shuffle option allows you to discover new ones and allows you to share newsletters with other users too. 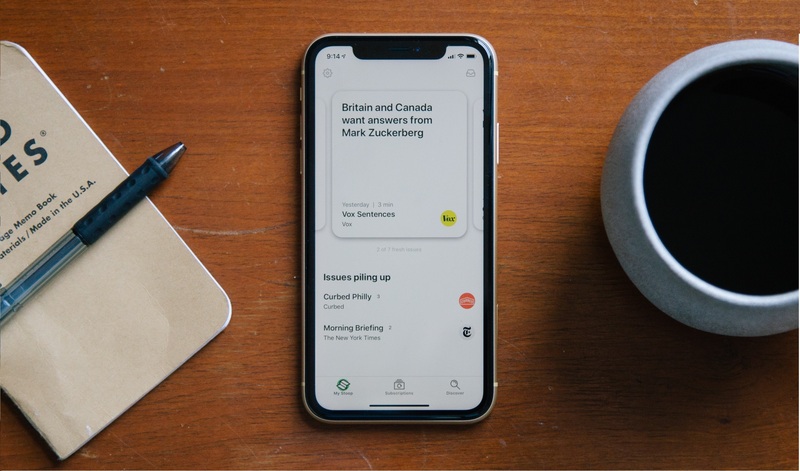 The app is free, and the CEO is planning on eventually launching a premium plan that allows users to access full newsletter archives. By collaborating with publishers, who initially might consider Stoop readers as subscribers at first, but Stoop hopes to implement additional analytics and easier signing up using instant subscription option. Although the company focuses on newsletters at the moment, its ambitions go beyond them. They hope to launch Open Bundle; an initiative providing bundled, in the coming few years. With the generation of libraries for newsletters, Stoops aims to revert readers to value-based content delivered directly through publishers!